Smaller, more handy package with easy open system is a great idea for a snack – in work, school or during a trip. 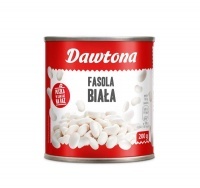 It’s an great proposition when a standard 400 g can is too much – with smaller portion “for one use” you can be sure that no leftovers will be wasted. It’s an answer to the big world’s problem – food wasting. 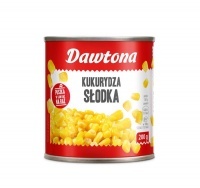 Dawtona’s canned vegetable are ready to consume „for a one bite” – with no need to spliting it for smaller parts. Easy and practical – opens whole spectrum of culinary possibilities. Mix vegetables and create new recipes! 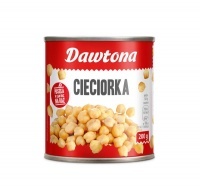 In the offer with smaller cans you can find: sweet corn, green peas, white beans, red beans, black beans and chickpeas.